Flexible support structure is manufactured to standard dimensions. The structure is available in various thickness as per specific customer requirements. Other accessories required along with the support structure are also available at our end. 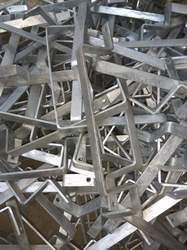 M/s APT Engineering are manufacturers of Galvanized Clamps in various thickness such as 3mm, 6mm, etc. The length and height varies as per specific Customer Requirements. 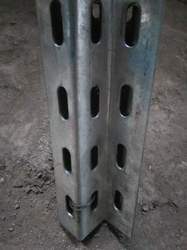 The Clamps are made in various sizes and finishes but preferably Galvanized finish. These Clamps are used in various Industries for Support and holding purposes. The Clamps are Galvanized for their long and sturdy life. Being one of the trusted names in the industry, we have come up with C Channel for our esteemed customers. The offered channels are designed precisely with the usage of optimum quality metal procured from well-known vendors. 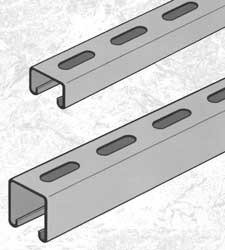 With their easy installation and precise dimensions, these channels are highly regarded. Offered channels are competitively priced. These Channels are manufactured in various thickness. 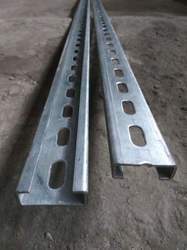 We Manufacture 'Z' Channels in Galvanized Sheet for Support Structure. The Z Channels are Strong, sturdy and Cheap due to their Design Parameters. The Z Channels have Uniformity in design. We supply these Channels in Delhi, NCR and various cities of North India. 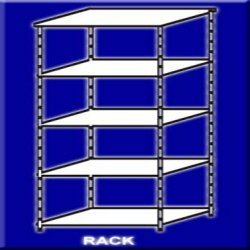 Leveraging our rich industry experience, we have come up with Slotted Angle Rack for our treasured customers. The offered angle racks are designed in tune with the industry standards, with the aid of high-grade materials and sophisticated technology. Owing to their dimensional precision and fine surface finish, these angle racks are much appreciated. Backed by our rich industry experience, we have come up with Slotted Channel for our esteemed customers. The offered channels are designed with utmost precision, with the application of premium quality materials and cutting-edge technology. These channels are rendered an optimal surface finish for enhancing their resistance heat and corrosion. 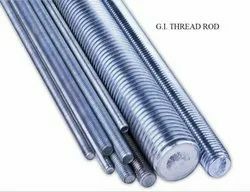 Being one of the prominent names in the industry, we are engaged in manufacturing and supplying Fully Threaded Rod for our revered customers. The offered rods are designed in tune with the application requirements and are regarded for their sturdy structure. With their excellent finish and durability, these rods are much appreciated by the customers. We are among the preeminent industry players, engaged in manufacturing and supplying Utility Channel for our treasured customers. These channels are nut bolt type systems that are recognized for their easy installation and durability. We make these channels available in several specifications to suit the needs of the customers.